Apple logged another healthy rise in sales and profits for its most recent quarter on the strength of record iPhone sales and strong results for Macs. The company's revenue rose 22 percent from a year earlier to $51.5 billion in the fiscal fourth quarter ended Sept. 26. Sales of iPhones reached a fourth-quarter record and the company said it sold more Macs than ever. Sixty-two percent of revenue came from outside the U.S., and revenue in China nearly doubled. The company's profit grew even more strongly than sales, up 31 percent to $11.1 billion, or $1.96 per share. For the full year, Apple made $53.4 billion. Both sales and profit beat the consensus forecast of analyst polled by Thomson Reuters. However, Apple continued its longstanding trend of disappointing tablet sales. 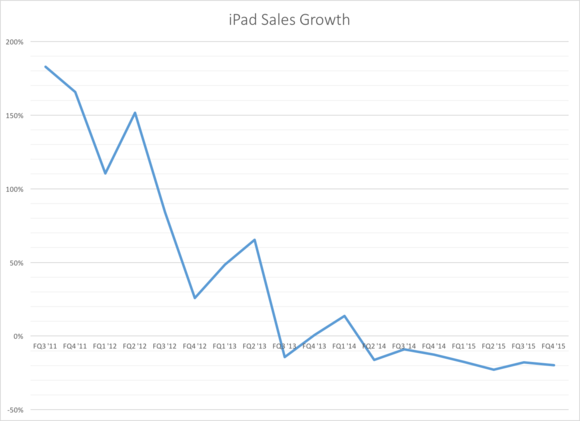 The company sold 9.9 million iPads during the quarter, down 20 percent from the same period in 2014. Wall Street analysts were expecting a decline, but Apple's drop was steeper than predicted. 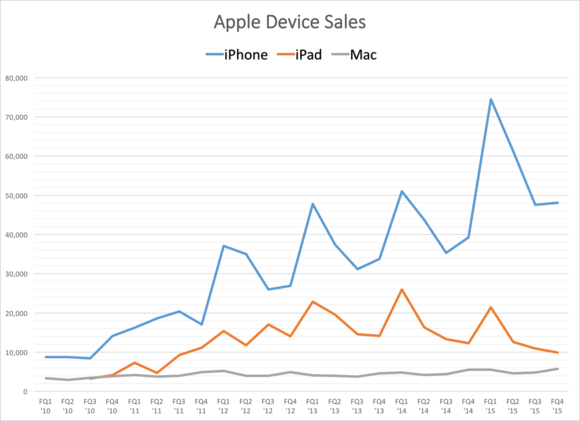 A chart of iPad sales growth year over year. Part of that seems to be a result of overall sales declines across the tablet market. 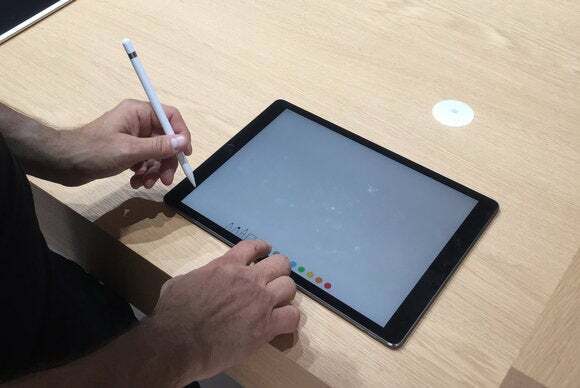 Sales of the iPad may be helped next quarter, when holiday shoppers head out to pick up new tablets, including Apple's recently released iPad Pro, with its 12.9-inch display. Other Apple devices did well. The company sold slightly more than 48 million iPhones during the third quarter of 2015, up from almost 39.3 million handsets during the same period a year ago. Mac sales grew by 3 percent, even though the overall personal computer market shrank. Looking forward, one of the most interesting things to watch will be how Apple's iPhone sales fare going into 2016. The holiday season has traditionally been a period of significant sales for all of Apple's products, and the company saw a massive iPhone sales increase during that period last year driven by interest in the iPhone 6 and 6 Plus, with their larger screens. This year, Apple has a new iPhone for people to buy, but it remains to be seen whether there will be as much interest in the iPhone 6S and 6S Plus, since their form factors aren't different from the phones introduced last year.